The minimum period of booking for NG is 2 days. 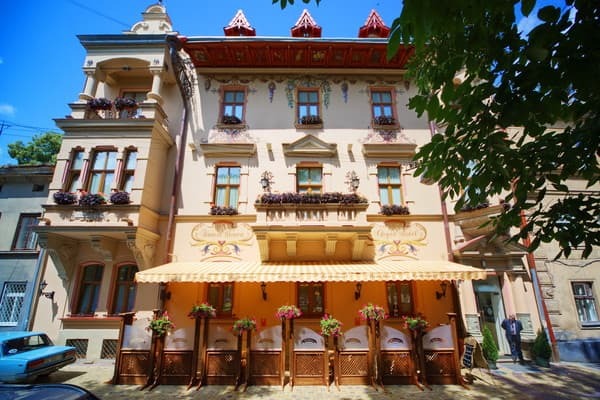 The uniqueness of the Chopin Hotel is not only in a convenient central location, but also in a cultural setting. 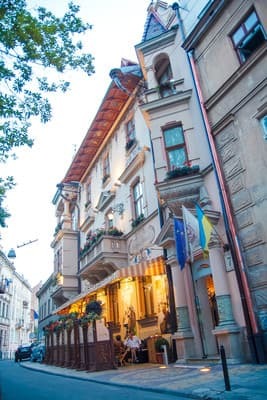 The hotel is located in the cozy square of the central part of ancient Lviv near the Lviv Regional Philharmonic, adjacent to the Potocki Palace and the Lviv Art Gallery. 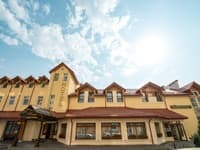 The hotel offers 16 comfortable rooms of different categories, a restaurant of Polish and European cuisine, a summer terrace, a backyard, a pub, a meeting room, a library, laundry and dry cleaning services, restaurant room service, Internet access (WiFi) video surveillance and much more. 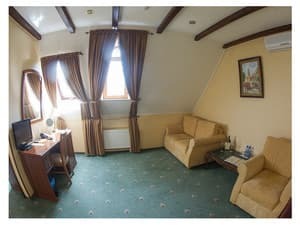 Description of the room: One-room double room is ideal for those who travel alone or arrived in Lviv for official business. Area: 23 m2 Bath: 3.5 m2 Bed: 2 x 110 cm. 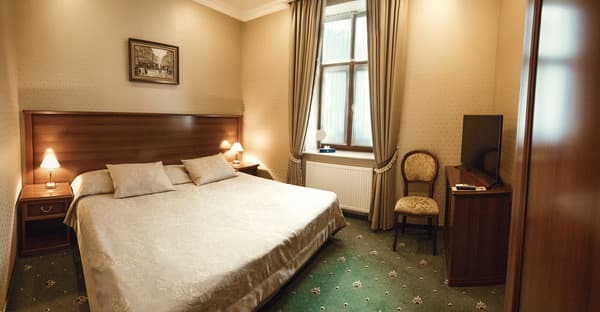 Description of the room: In addition to standard furniture, junior suites are additionally equipped with soft armchairs and coffee tables, which provides additional conveniences for guests. 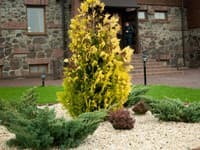 The room is especially suitable for business people. One of the junior suites has a spacious balcony overlooking a quiet green square (the old name is the "Prus's dance"). 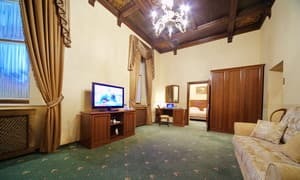 Description of the room: The wooden inlaid ceiling, the living room space, the sophistication of the interior and the furniture create an atmosphere of luxury that is complemented by a breathtaking view from the huge balcony in the bedroom of the room. 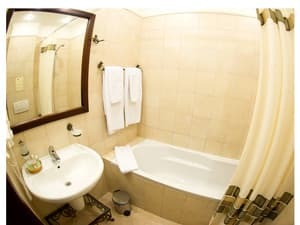 Two-room suite is ideal for guests who are fans of courageous romanticism. В гостинице все понравилось. Идеальное месторасположение позволяет максимально быстро и комфортно добраться ко всем архитектурным и выдающимся памяткам города. Номера в отеле оформлены со вкусом - красиво и непринужденно, а сам персонал очень дружелюбный. Children under 12 years (without breakfast) are free of charge. 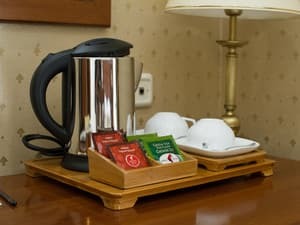 Additional payment for third person accommodation in suites, including breakfast, price - 200.00 UAH. By car, go towards the city center to Shevchenko Avenue. From the railway station: tram number 1, 9 (to I. Franko street); fixed-route taxi №61, 53, 29 (to Galitskaya Square); From the airport: fixed-route taxi No. 95 (to Freedom Avenue).